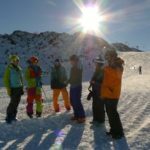 Follow IFMGA local mountain guide Rok Zalokar in an exciting freeride skiing program in Vogel, one of the top ski resorts in Slovenia. 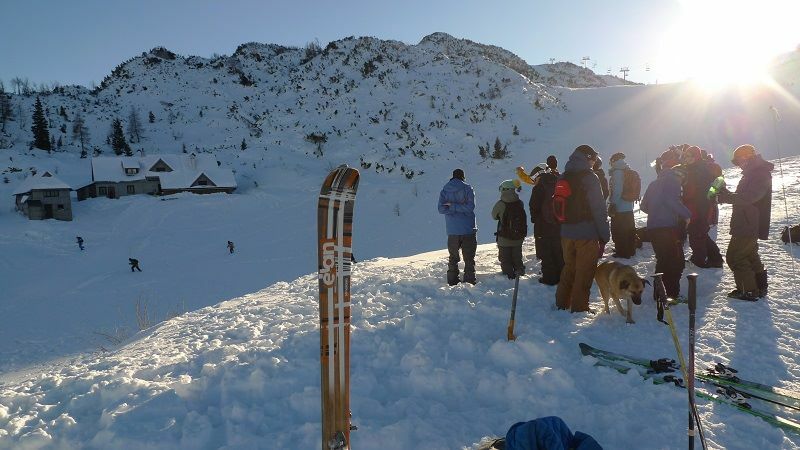 Vogel is a ski resort at the heart of the Julian Alps, lying inside Triglav National Park. It’s high above Lake Bohinj, the largest natural lake in Slovenia, offering some stunning views. 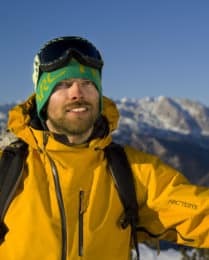 But Vogel is also famous for having the best snow conditions in the country. This is because the Julian Alps are the most easterly part of the Alps, just above the Adriatic Sea and therefore they are the first mountains in the range to receive great amounts of snow. Actually, the normal ski season in Vogel goes from December until the end of April. An interesting fact? As it is inside a national park, artificial snow-making is not allowed, so all the snow you are going to see is real! 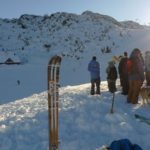 It’s worth pointing out, Vogel is one of the highest resorts in Slovenia, with slopes up to 1800 m.
I strongly recommend it for those who want to start practicing freeride skiing. 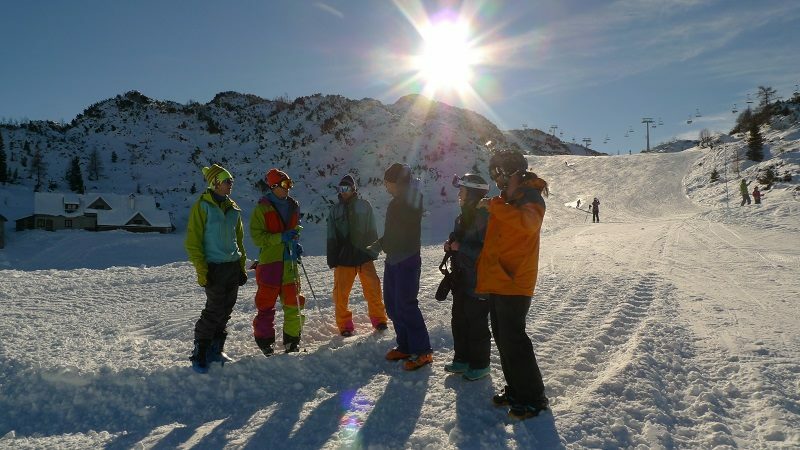 It’s perfect for beginners, as it has many untracked terrain and great mountain lines to ski. 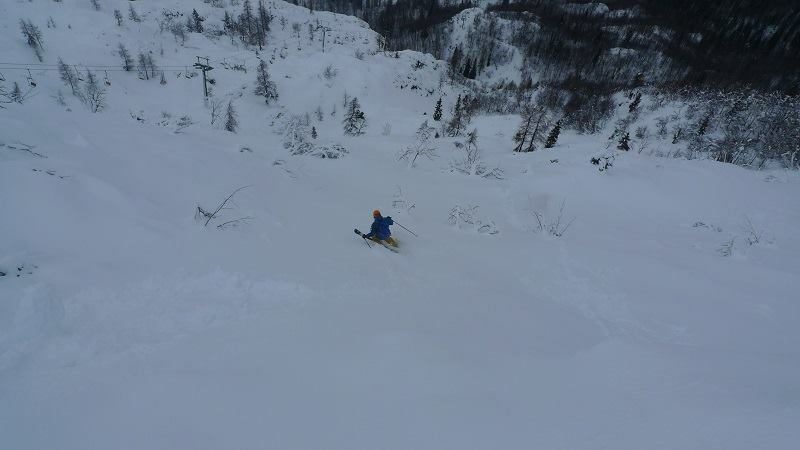 However, it also offers some interesting slopes for intermediate skiers looking for challenges. 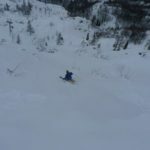 If you want, I can include heliskiing and organize a private program for your group. Please contact me if you are planning to go skiing in Vogel. I will help you make a program according to your wishes. I grew up in the Julian Alps, so I’ll be glad to show you the best spots in this place!